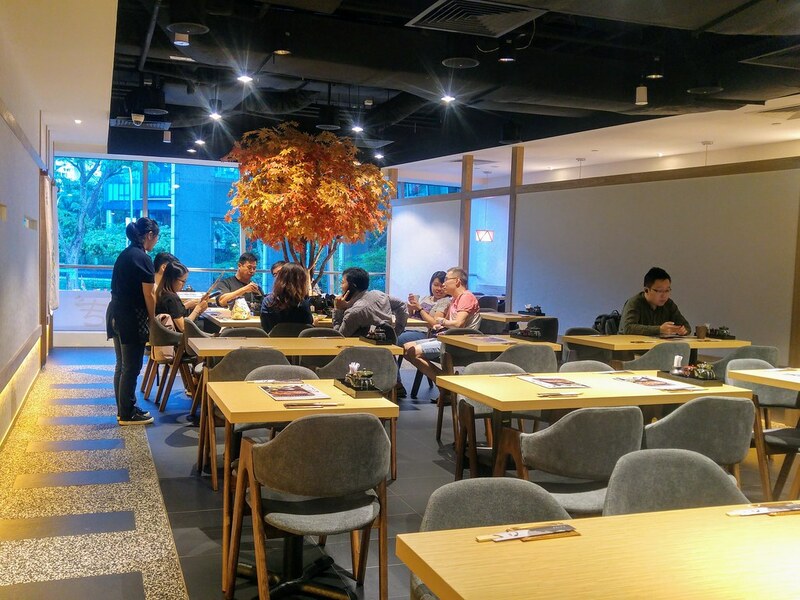 Uya 四代目菊川 at Wheelock Place may be a newly established unagi cuisine restaurant in Singapore, it comes from a family with a long heritage. 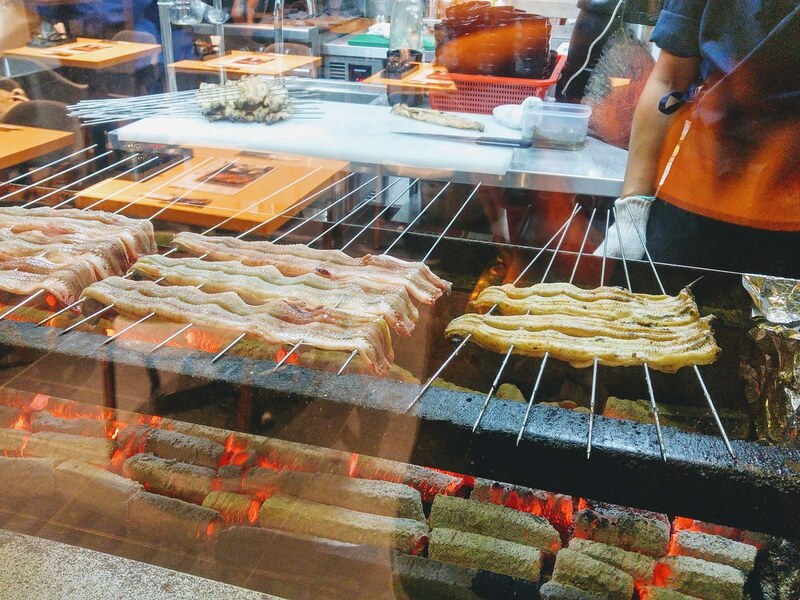 Co-founded by Yuhei Kikukawa, the fourth generation family head of Nakasho Shoten Ltd, a wholesaler of unagi for over 90 years, and also the owner of a chain of unagi and other Japanese cuisine restaurants in Nagoya. Scientifically known as Anguilla japonica, only Japanese Eels are used here. I learnt that the quality ones tend to be smaller, and are more highly prized in Japan for their relatively tender and fattier meat (with quality oil, more vitamins and minerals). Hence, you may fine the chosen eels are smaller in size than those commonly found in other restaurants. These hand-chosen eels are then air-flown in twice a week to the restaurant where they are kept in clean, fresh and optimal conditions in a tabeta, a custom-built facility which continuously circulates clean and temperature-controlled water. If it's your first time trying out a unagi cusine, Hitsumabushi ($48 Large) would be the recommended option. 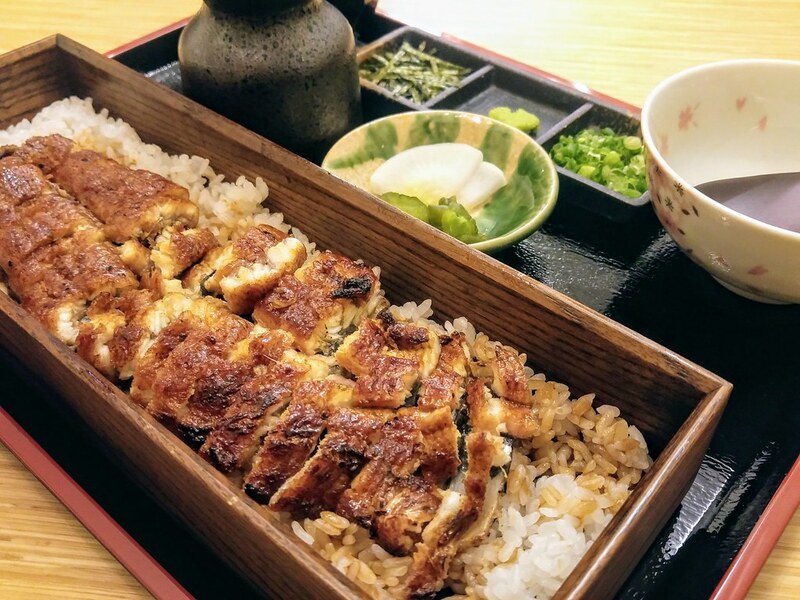 Originally a Nagoya meibutsu (local specialty), the unagi will be grilled with their very own special tare made from a 4-generations old recipe and meant to be taken 3 ways. Eat it as it is, add the condiments provided such as wasabi, finely sliced negi (green onions) and shredded nori or make ochazuke with the dash broth provided. 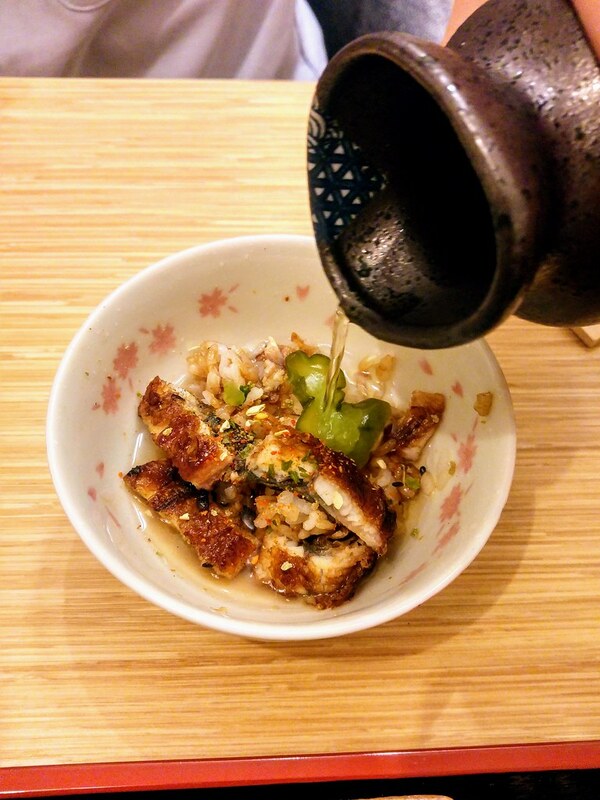 The tare used coats the unagi with just the right amount sweetness and surprisingly, I like the 3rd way of eating, especially with the addition of their Mi Sansho. Ground sansho pepper, a native pepper to Japan with a sharp herbal flavor, brings a ripple of tastes to the ochazuke while it cuts through the fatty flavor of the eel. Perhaps my unagi has been sliced too thinly or the batch of unagi in season belongs to the leaner size, I didn't get that fatty and moist texture that I was looking for. 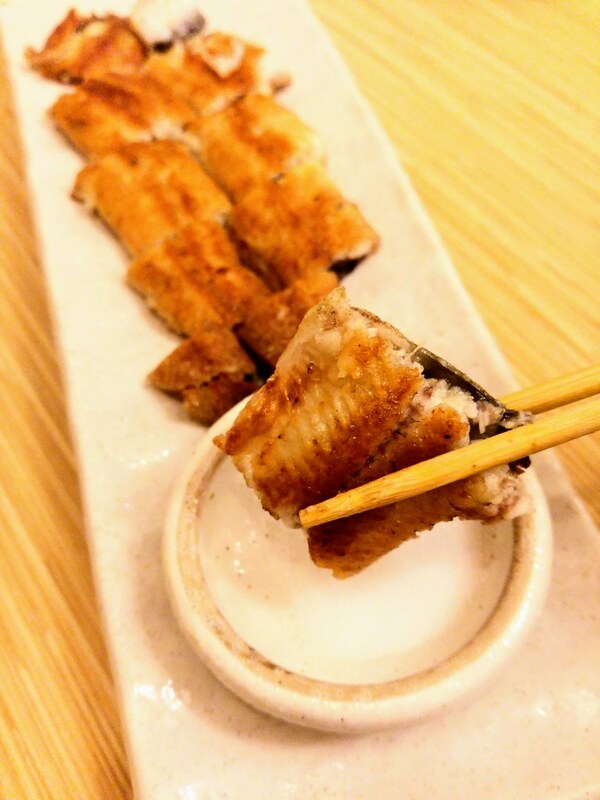 Grilled Eel with Salt ($33 Medium) allows you to appreciate the eel's natural beauty. I like the light crisp on the surface, while the meat stayed fluffy and moist. 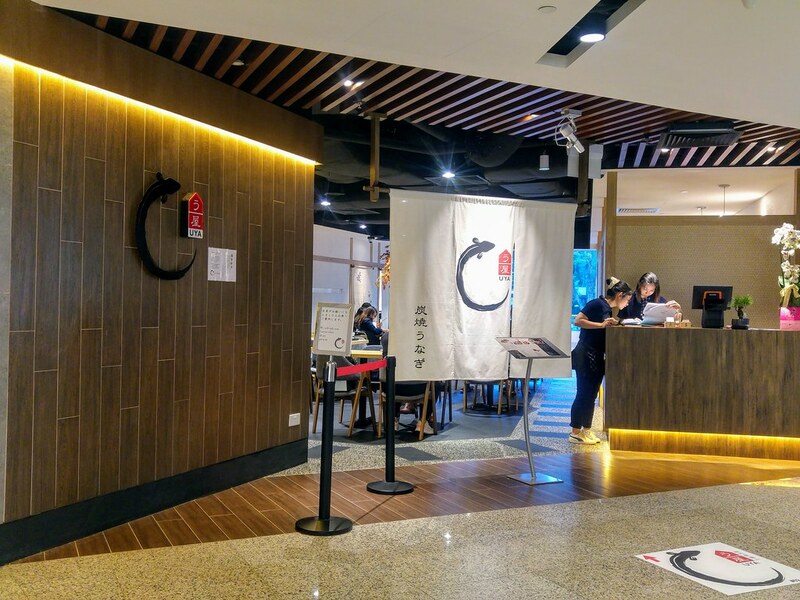 The menu also offers other popular Japanese dishes such as Chirashi Don which is not surprising given that the other co-founder is Shin Foods PL, the company behind the highly popular the Koji Sushi Bars. 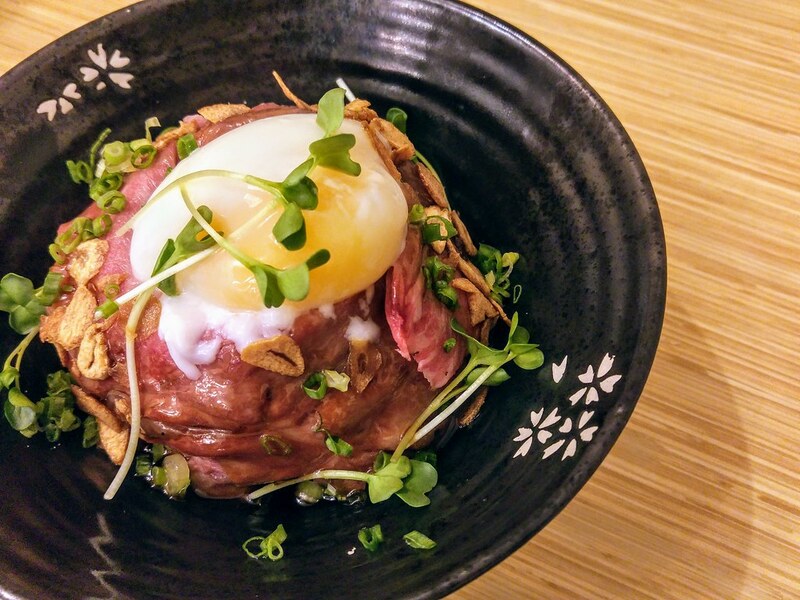 What brought satisfaction to the table that evening was actually this Rare Wagyu Rice Bowl ($27). The luscious unctuous meat, smeared with tare sauce, was rich and full bodied, which make the pearly rice again one of the best creations in the world. The clear soup served along contains yuzu, which cleans the palate well at the end of the meal. I don't really take liver but I actually finished the entire Grilled Eel Liver myelf! The charred exteriors formed a skin around the liver, almost like tiny liver sausages. 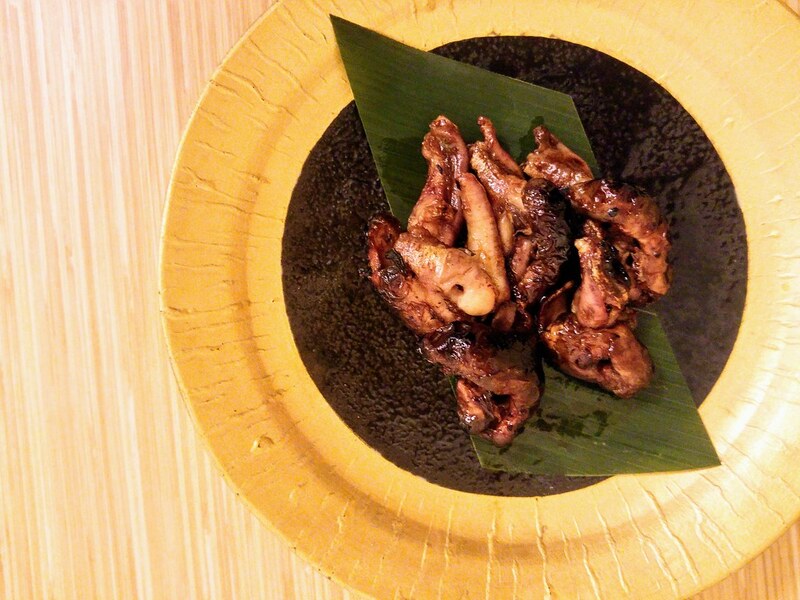 Coated with tare sauce, the charred smokey sweetness of the exteriors complements the gamey liver which makes it so delicious. 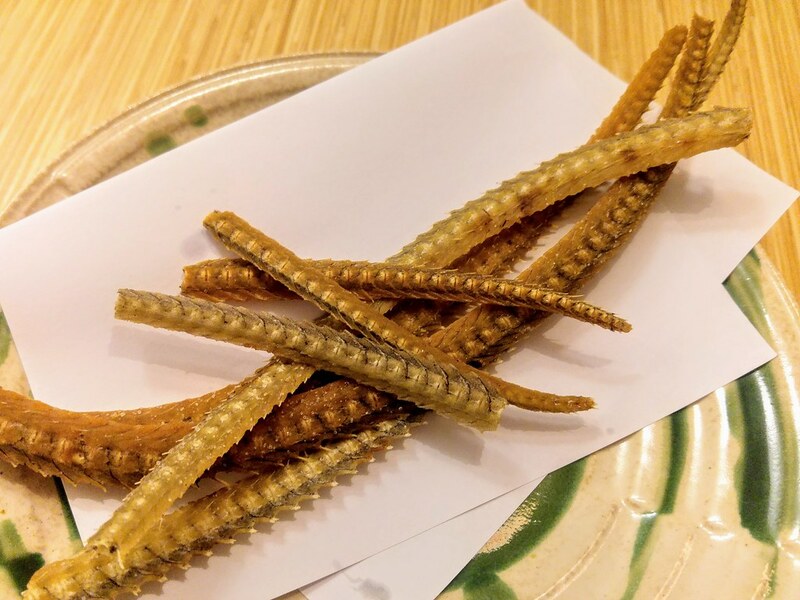 What brings excitement to the table, other than the eel liver, would be this Eel Bones ($9), also known as Eel Hone Senbei. Hone means bone in Japanese, and Senbei are traditional crackers. The crunchiness that it delivers, is just as much as pork crackling but half the calories! Compared to my very first unagi cuisine experience, this at Uya pales in comparison. I have not tried enough to compare either, hence it could be simply because the cuisine is too delicate for me to appreciate. That said, the ambience of this intimate space wins, for you get to enjoy your exquisite unagi bowl in a less hurried mood.